You can fill out an application to receive notifications on available "Camo Concealer - Light". 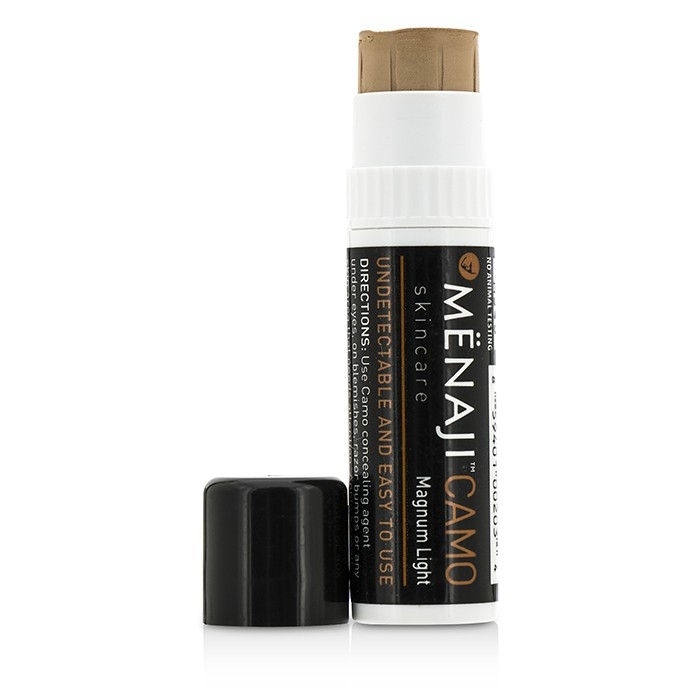 A hypo-allergenic & fragrance-free concealer for men. Features a grape seed oil-based formula containing vitamins. Instantly reduces dark circles while hiding scars, bumps & blemishes. Dermatologist recommended for use on acne & irritated skin. The lip-balm sized applicator offers easy carry & discreet spot checks. To use: Apply to problem areas using index finger or directly from tube. Lightly blend onto skin by patting with fingertip. For spot coverage only (under eyes, blemishes, razor bumps, age spots), do not apply to whole face.